I’m new to Ink, Twine 2 and Yarn. 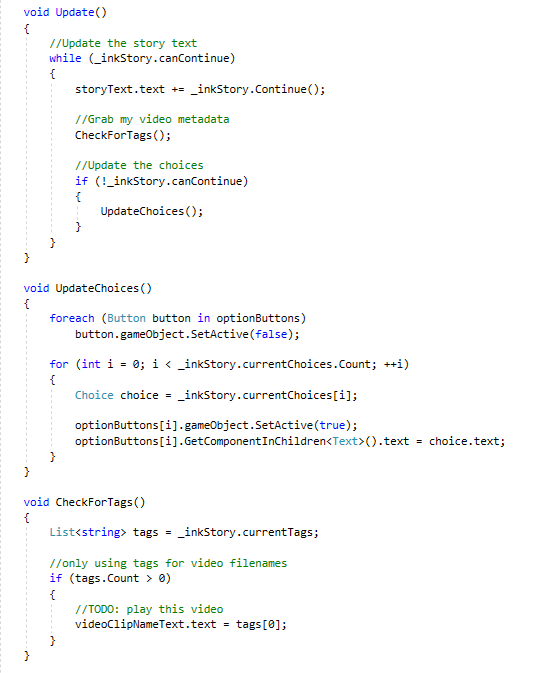 My goal was to rapidly investigate what’s involved in getting some of the most basic functionality of an interactive narrative up and running in Unity using each system. 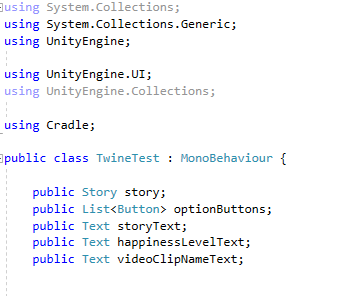 I made three versions of the same test story: one authored in ink , one in Twine 2 (Harlowe format) and one in Yarn. You can read about that here. 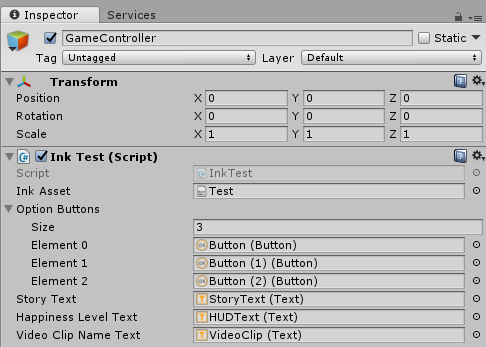 I started a new Unity project to which I added the ink, Cradle (Twine) and Yarn Spinner Unity integration packages. 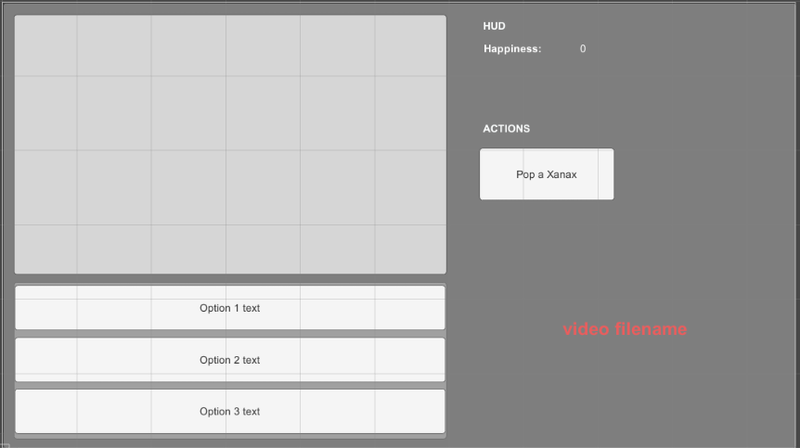 I created a simple 2D interface for viewing and interacting with the story. 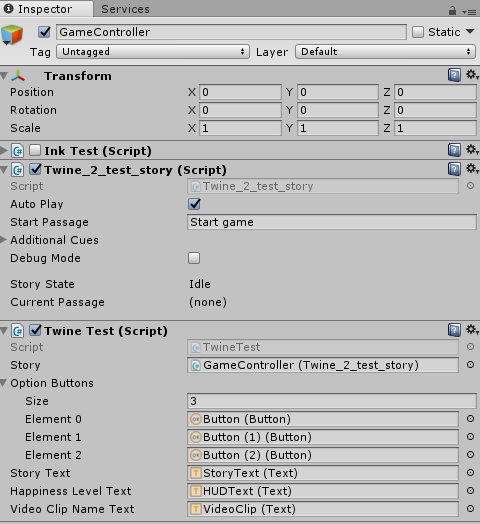 I wrote scripts drive the interface: one to run the Ink version of the story one to run the Twine 2 version, and two for Yarn. Running/updating the story and displaying its content. 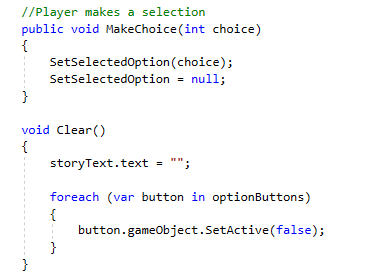 Just simple interactions in multiple-choice format (i.e. 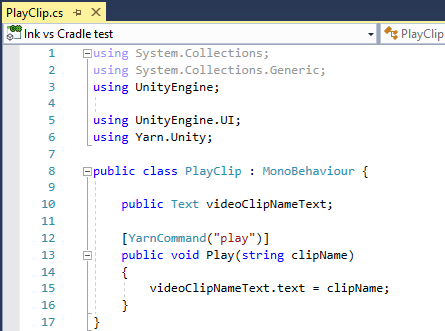 no inline links etc.). e.g. animations, audio, etc. 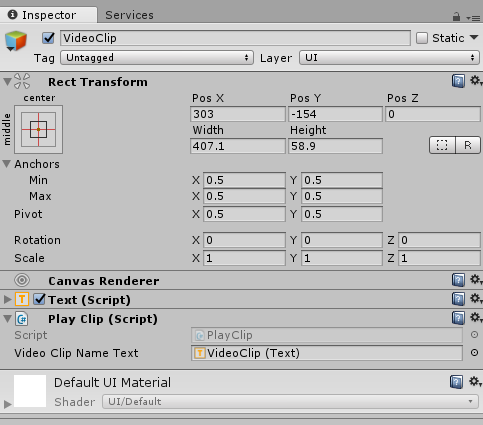 In the example below I imagine triggering video clips. 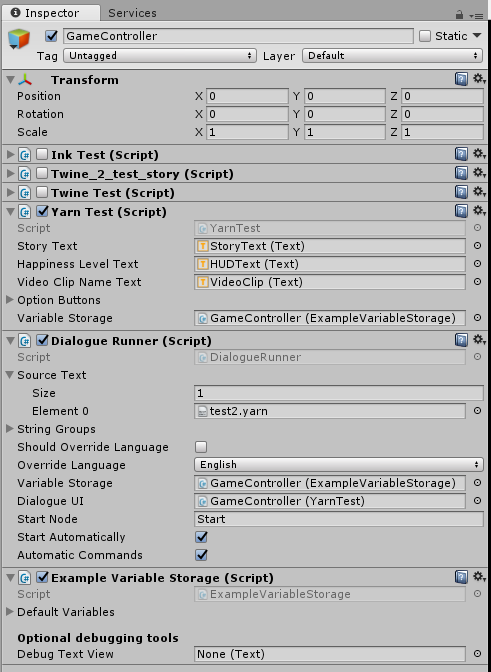 In my example I display the player’s current “Happiness” score in the HUD. 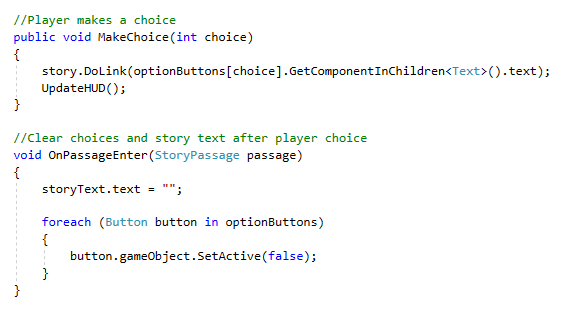 This would cater for player interactions that are handled external to the story (i.e. 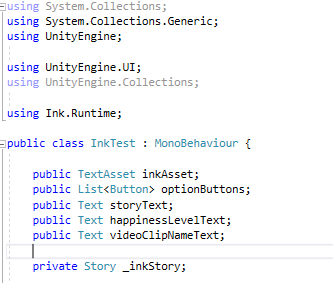 they’re handled by Unity scripts, not by anything authored in Inky or the Twine 2 editor). 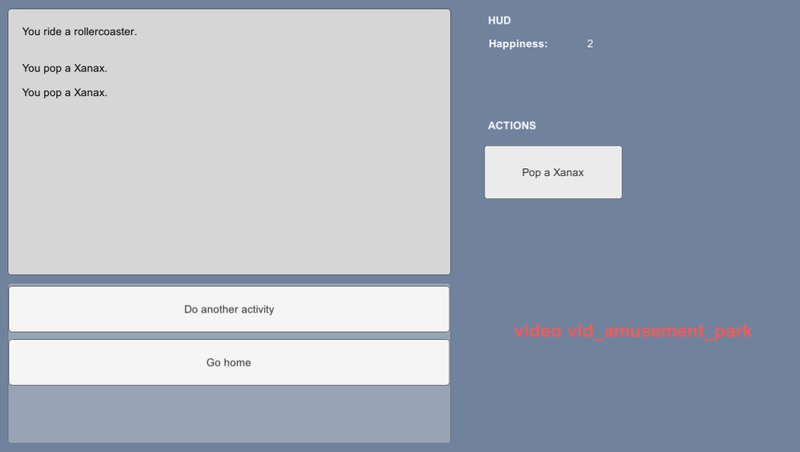 In my example the player can take a Xanax at any time to improve the story’s “Happiness” state variable. 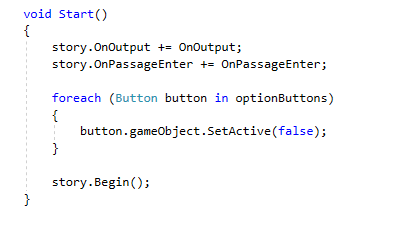 I’ve copied and pasted the scripts below, showing excerpts side-by-side for comparison. 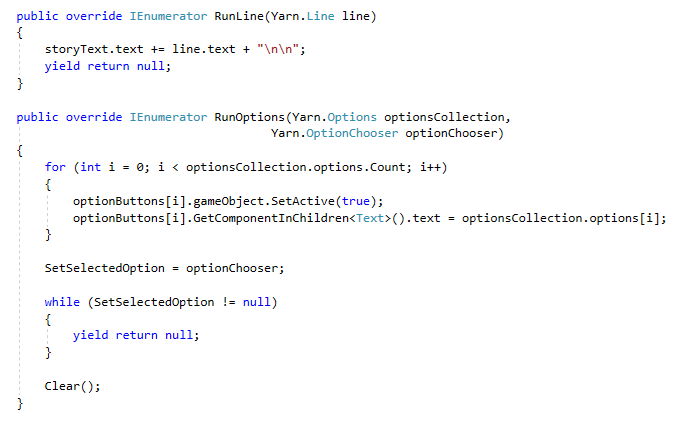 My script is YarnText.cs. 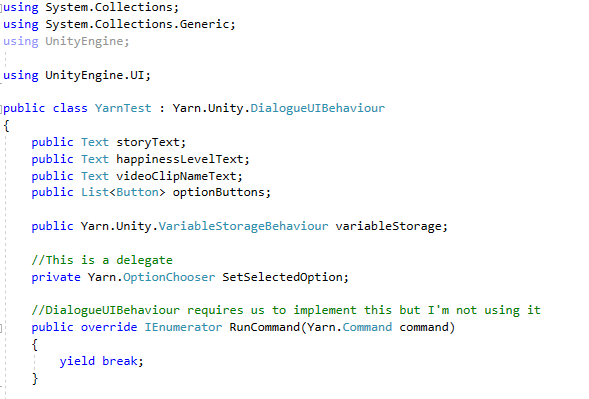 DialogueRunner.cs and ExampleVariableStorage.cs come in the YarnSpinner package and were not modified. 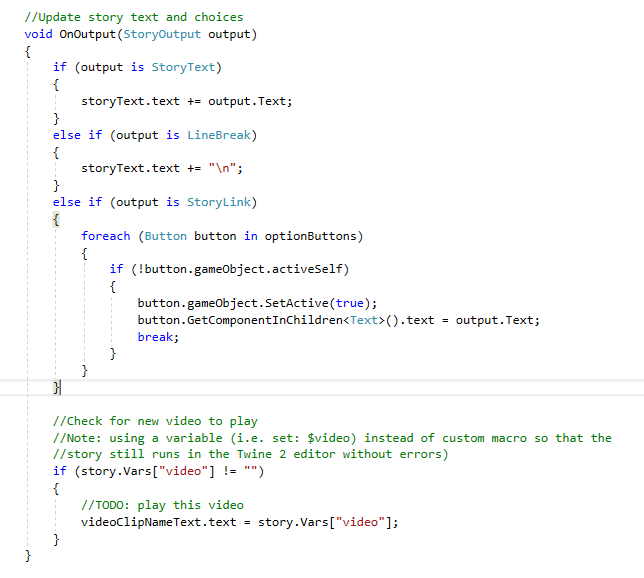 Reach into the story and change a state variable.